← Don’t Stop Belize-ing: Day 5 and 6 Through the Eyes of a Runner. It is such a weird concept for most people that other humans would gather at disgustingly early or late times to run for miles and miles, sweating, breathing heavily, and doing the same motions for hours on end. For those people, I ask, have you ever been to a race? Have you ever had that exhilaration of the last 100 yards? Have you ever felt that you gave something your all? How about meeting a wonderful person that you can share it with? Well I have done all of these. And you know what I call it? I get such a joy in a bright day where I am able to gather with fellow runners to hang out in such a special way. The running culture however, is not just the exhilaration you get from a race, or the happiness you find with other runners on a Saturday morning run. It is instead the peace you find when you are in your element, or discussing life with another runner who understands your weird obsession with shoes, splits, GUs, etcetera. Racing is one of my favorite parts of the whole running process: the expo, the nutrition the day before, the absurd sleeping hours, the morning of, the first 5 miles and the last 2, all of it! Next weekend I have the Love Run, which is a half marathon here in Philadelphia that I am excited to be running! Actually by this time next week, I will be a few miles in!!!! Start looking forward to a race recap next Sunday! Until then, enjoy the running culture, and get out there and go! Thank you for writing this! I am the same. 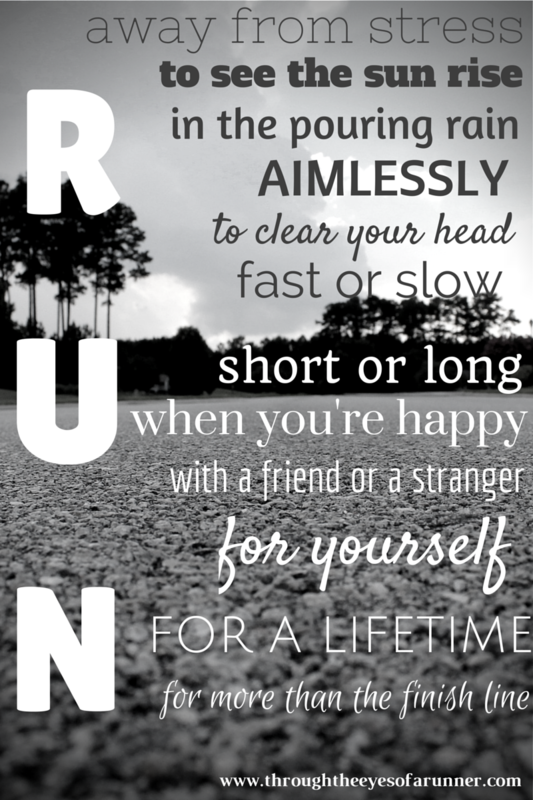 Going for a run can get rid of my headaches and brighten up a rainy day! I’ve never been huge on running, but after doing a few 5ks, I’ve come to enjoy the energy that comes with gathering. Wish my heel spurs would let me, but now I have to run vicariously through you! So jealous you’re doing the Love Run! I did it last year (in the crazy monsoon pouring rain) and it was my big PR race! The post race food is incredible 🙂 Have fun!